Tonight I write this article inspired by a program I was watching on TV called “America’s Got Talent”. A young man told his story of how he and his sister were in foster care and were adopted – his adopted mom was there also. He sang a song on the show – it was so inspiring that I couldn’t help but write this through tears. 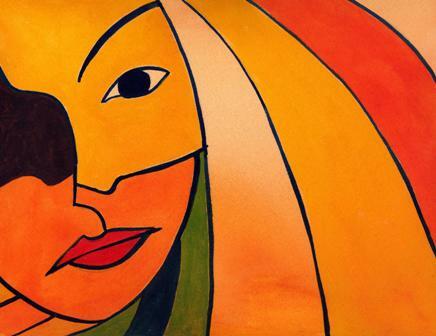 We live in a world of love, hurt, misunderstanding, kindness, etc. I understand that it’s important to listen with an open mind and sincerity. I saw a gentleman today I met some time ago, he told me of his dilemma. I listened. Now he has accomplished what he set out to do. It was rewarding to listen to him. Also, another person I met, he spoke of being homeless. And now, he has a job and a place of residency. I’m inspired by these stories. It’s through my faith that I can understand this. If you allow your humanness and your love for your fellow man to flourish, the rewards are endless. I believe this with sincerity. I’m grateful for a wonderful mom whom I cherish today with love. In other words, lend an ear to someone today, tomorrow, next year if possible. The inspiration gathered from this will go on forever and ever. 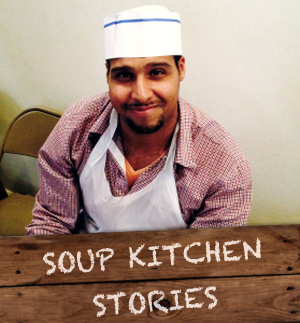 Joel first came to Holy Apostles Soup Kitchen early in 2014 as a volunteer. It was a cold winter and the 36 year old native New Yorker wanted to help his neighbors in need. Little did he know that only a few months later, after losing a job he had held for many years, he would be the one in need of help. 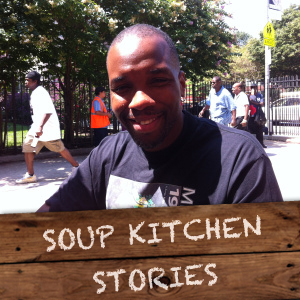 Joel knew he could get a nutritious lunch at the soup kitchen, but he got much more than that. As he came to rely on us, he saw how others were helped by our counselors, he heard of people finding jobs and housing. So when he had lined up an interview for a job this past August and didn’t have any suitable clothes to wear, he asked our counselors for help. Today Joel works for AM New York but he hasn’t forgotten the soup kitchen and he comes here to volunteer and give back as often as he can. His experience over the past year has motivated him to build on his skills and work towards a more stable career. Next year he has plans to go to Hunter College to study accounting and finance.